How easy it is to think you know an artist’s work. 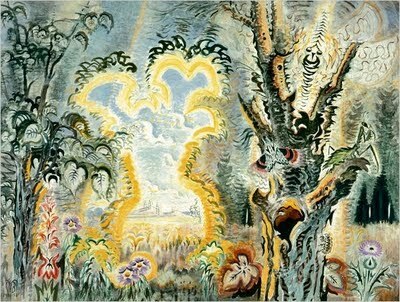 I’ve seen Charles Burchfield paintings all of my life, but now I know that really isn’t the case. I didn’t see or understand his work until I visited the show currently at the Whitney Museum. 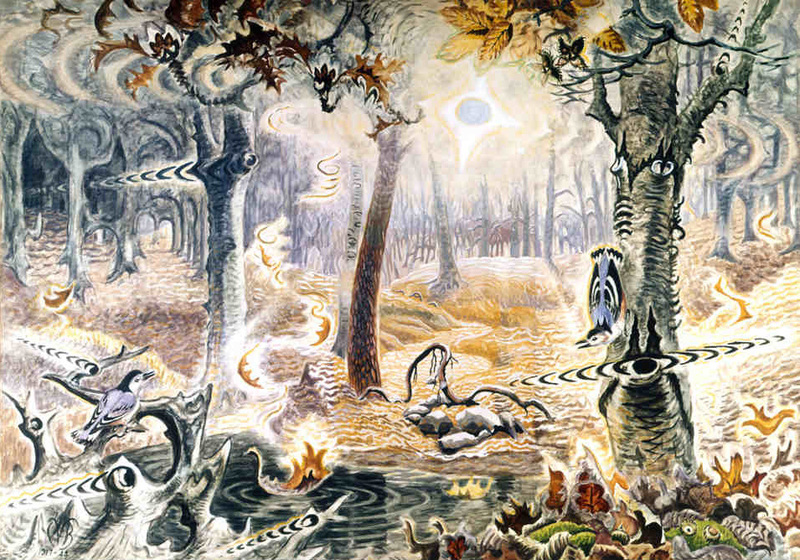 Now I can’t stop thinking about Burchfield. I am sending everyone to see the exhibit so we can do the exclamatories in unison. And to think that just a few days ago I had him squirreled away—as have so many others who have crafted a cursory narrative of American art—in the Regionalist catch all art drawer. 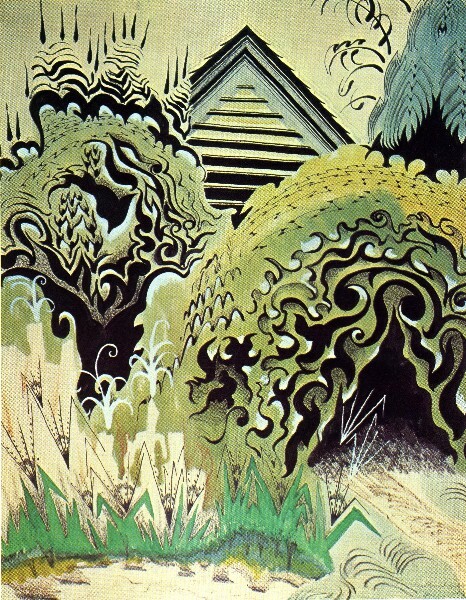 Burchfield (1893-1967) is actually category immune. He had no interest in being part of any school and said so. (Peter Schjeldahl at the New Yorker calls him a “one-man movement,” and Whitney chief curator Donna De Salvo refers to him as an “American Modernist.”) He is definitely not a Regionalist, that embarrassingly dismissive term that dustbinned his work for years. In many ways he shares an independence that is also evident in several of his contemporaries like Edward Hopper (1882-1967) and Georgia O’Keefe (1887-1886). 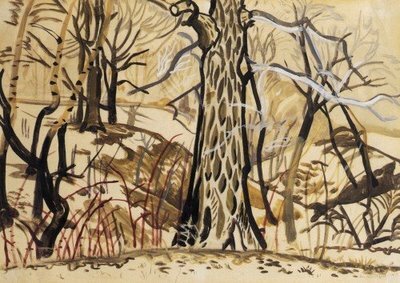 But unlike those art superstars, Burchfield has remained below the art alert radar for most of us. 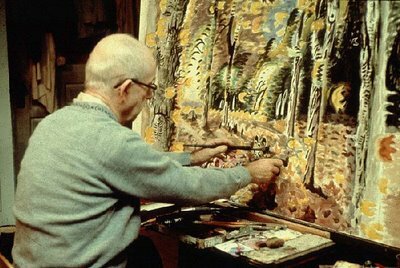 What I discovered is that the quiet and unassuming Charles Burchfield, denizen of small towns in Ohio and of Buffalo New York, father of five and a life long partner to his one and only wife Bertha, was a visionary. While his life’s work moves through a number of styles over time, what holds his oeuvre together is his fierce struggle to represent both his perceptions of the outer world as well as those of his private inner terrain. 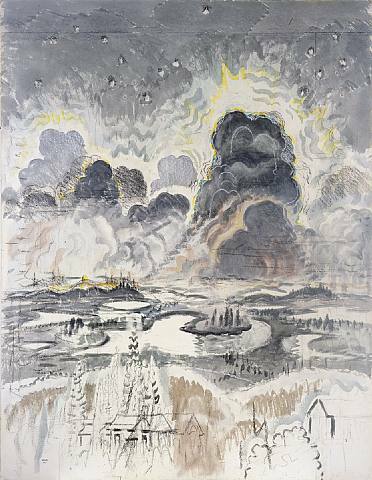 Using watercolors as his preferred medium, Burchfield’s ethereal and “almost abstract but not quite” landscapes feel as if they have been launched from another dimension, one that is multi-sensory, layered and complex. I love when this happens, when a mad passion comes from something that was right there all along. The dominance of the eye and the suppression of the other senses tends to push us into detachment, isolation and exteriority. The art of the eye has certainly produced imposing and thought-provoking structures, but it has not facilitated human rootedness in the world. The fact that the modernist idiom has not generally been able to penetrate the surface of popular taste and values seems to be due to its one-sided intellectual and visual emphasis; modernist design at large has housed the intellect and the eye, but it has left the body and the other senses, as well as our memories, imagination and dreams, homeless. Note: I am in New York for a few days. I have queued up a few small-scale directionals, gentle proddings that shift the way to view the familiar. The hands want to see, the eyes want to caress. The dancer has his ear in his toes. How would the painter or poet express anything other than his encounter with the world? These quotes are included in The Eyes of the Skin, by Juhani Pallasmaa. 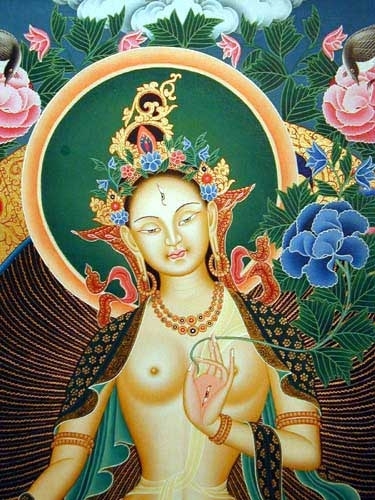 And the eye in Tara’s hand has always intrigued me. Thank you Sebastian Smee, for addressing an issue that feels extremely personal and one that I have written about here many times: the demand to narrate the visual art experience with language. But over the past several decades, in the academy, in the media, in front of collectors and curators, talking and writing about one’s own work has increasingly become, for artists, an expectation, a requirement. In some ways, it’s a burden, even a kind of violation. Why? 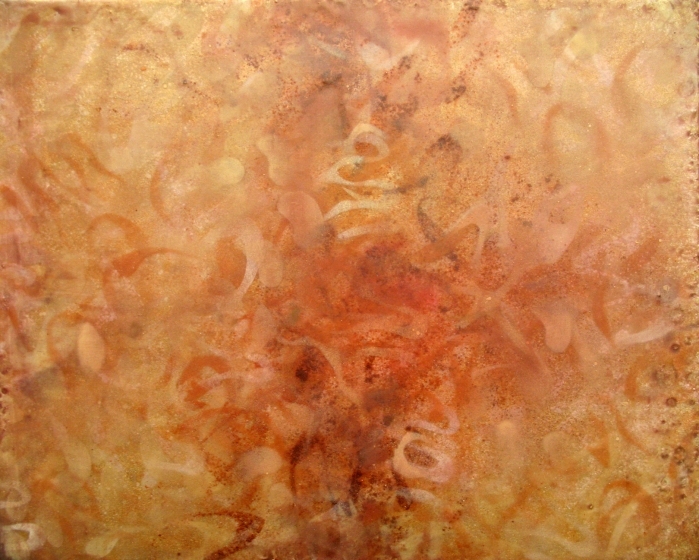 Because the inner compulsions of the best artists tend to develop in a place that is out of reach of language. And so when artists are asked to explain their work, the constructions they come up with can be smooth, convincing, terrifically interesting — and yet in some strange way a betrayal of the original impulse. In a recent conversation, just days after visiting her during the installation of “Makeshift,’’ Hepler was suddenly eager to de-emphasize her works’ connections with nature. Yes, yes and yes to Smee, to Helper, to this line of thought. Her distinction of not going to nature for ideas but turning to “something mute and internal, a core, which has fewer links to the outside world” is a point of view that I resonant with deeply. Her phrase, “fundamental geometries that are evident both in nature and, somehow, in my own internal landscape” is not a groping for words IMHO but one of the most insightful descriptions of a process that is, granted, very hard to articulate. And the show sounds compelling, provocative, visually stimulating. I’m planning my visit now. 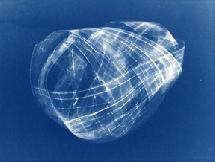 Anna Hepler, Cyanotype 6, 2009, inkjet on rag paper, 36 x 47 1/2 inches. Courtesy of the artist. If the body had been easier to understand, nobody would have thought that we had a mind. What a provocative quote from the philosophical giant himself, and one that I have been pondering all day after spending some time on Mind Lab, a beautifully constructed site that enables you to experience firsthand the mysteries and vagaries of how the mind and eye collude. (And thank you to vetting machine extraordinaire, Maureen of Writing Without Paper, for this find.) What we think we see, we don’t. Do the experiments on Mind Lab and you will be aghast at how actively your mind is creating a reality for you that is just plain bogus. I kept thinking of a recent piece in the Boston Globe by Joe Keohane that demonstrates how difficult it is for most people to admit they are wrong. We trust our senses and yet it is clear from this site that making that assumption is a big mistake. An earlier post here referred to architect Juhani Pallasmaa’s provocations around the role of peripheral vision in architectural design. I’m even more intrigued now about how peripheral vision really works and how it impacts our visual experience. And I don’t think the understanding I am looking for is just a scientific one. It has so many layers to it, bafflingly so. Body. Mind. Seeing. Knowing. Who can say what is what? Another evocative passage by way of Juhani Pallasmaa’s The Eyes of the Skin. (More quotes from the book here, and more will be posted in the future since I have been in a state of awe regarding this book for some time.) 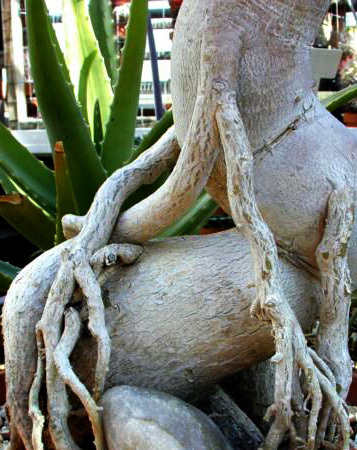 The role of the hand and the body in creativity is not trivial and yet easily overlooked. The computer is usually seen as a solely beneficial invention, which liberates human fantasy and facilitates efficient design work. I wish to express my serious concern in this respect, at least considering the current role of the computer in the design process. Computer imaging tends to flatten our magnificent, multi-sensory, simultaneous and synchronic capacities of imagination by turning the design process into a passive visual manipulation, a retinal journey. The computer creates a distance between the make and the object, whereas drawing by hand as well as model-making put the designer into a haptic contact with the object or space. 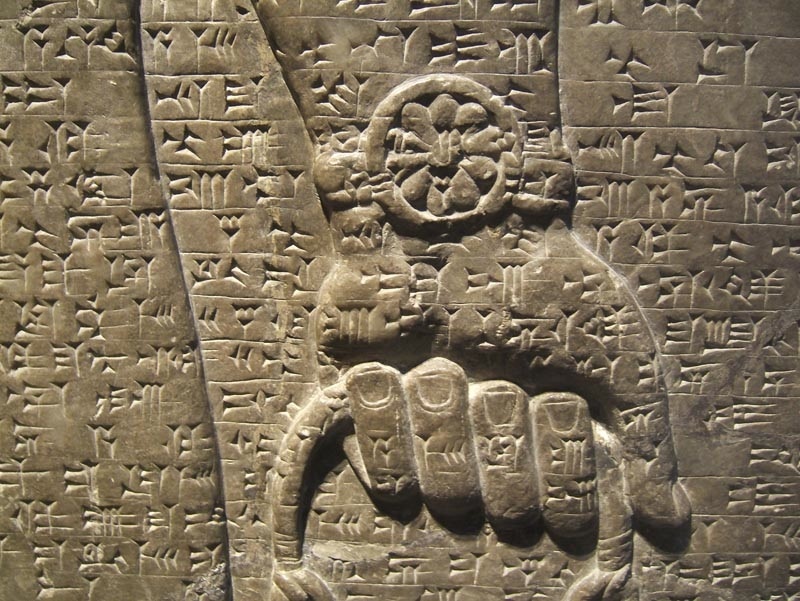 In our imagination, the object is simultaneously held in the hand and inside the head, and the imagined and projected physical image is modelled by our bodies. We are inside and outside of the object at the same time. Creative work calls for a bodily and mental identification, empathy and compassion. Theater alert for Bostonians and anyone who might be visiting town through August 15: Do whatever you need to do to your summer schedule to see the spectacular (and free!) production of Othello on the Boston Common. We are regulars and have seen most of the Commonwealth Shakespeare productions over the last 15 years. But this one is the best ever. And it isn’t just my spillover passion for anything The Wire. 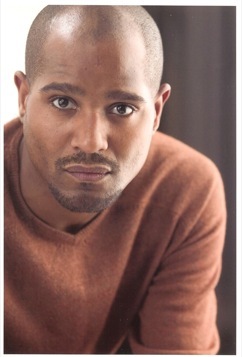 Seth Gilliam (who played an unforgettable Ellis Carver in the greatest TV series ever) is rivetingly pitch perfect as the Moor. (Imagine how razor sharp your first circle/third circle—in the Patsy Rodenburg theatrical sense—edge must be to explode that Othelloian emotion without going too over the top, and to do it for an audience that stretches from the stage all to way to Tremont Street.) Tight and tough, Gilliam’s Othello is not the towering Moor that is often cast in this role but his energy is blinding. Iago, played by James Waterston (yes, he’s the son), captures the banality of evil with such force my poor partner Dave spent a sleepless night after encountering that ambient but essentially meaningless ill will. And the ladies held up their end as well, Marianna Bassham as Desdemona and a best ever Emelia played by Adrianne Krstansky. The sets are simple and elegant and also work with the large crowds that a free event on a summer evening attracts. 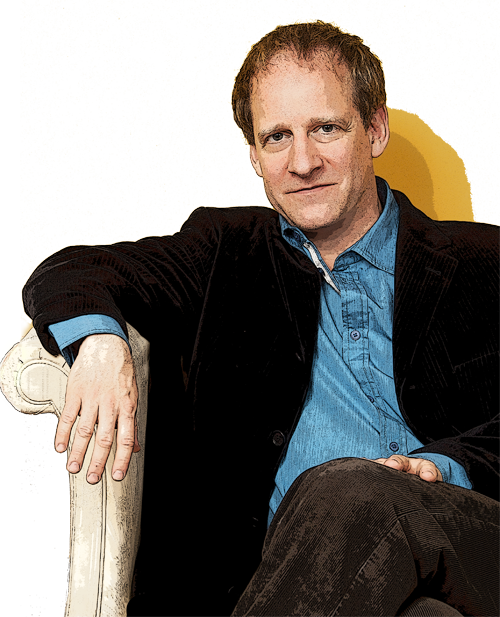 For more info, Commonwealth Shakespeare Company. James Carpenter was a glass artist for 30 years (and studying/collaborating with Dale Chihuly while he was at RISD) prior to his more recent involvement in architectural projects. 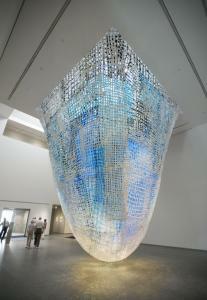 His approach involves using glass not to just create enclosures but instead as a tool for “manipulating” light. In the case of the office building, which is scheduled to begin construction this year on a lot along the High Line, he talks of “privatizing” some light for the interior while returning the rest to the public, altered by its journey through high-tech sandwiches of glass. 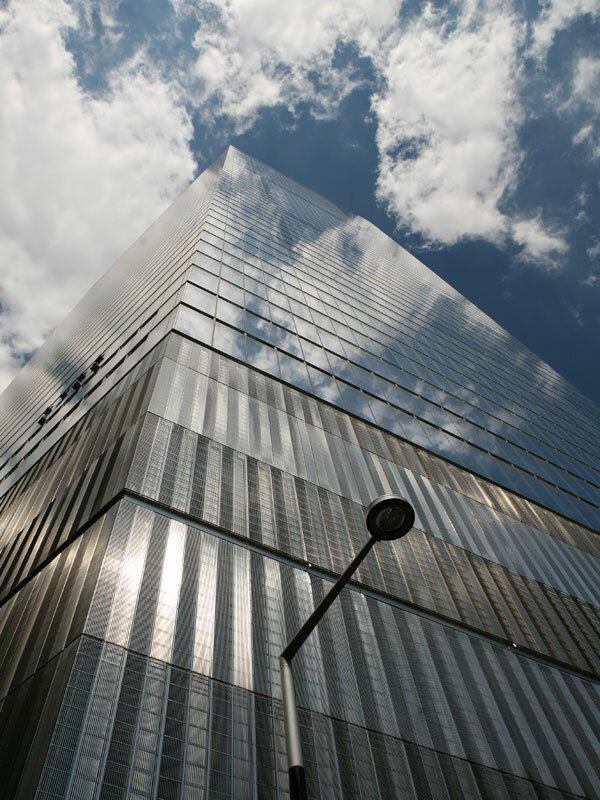 It’s an approach demonstrated in 7 World Trade Center, the Lower Manhattan building known for its unusually lucid facades. 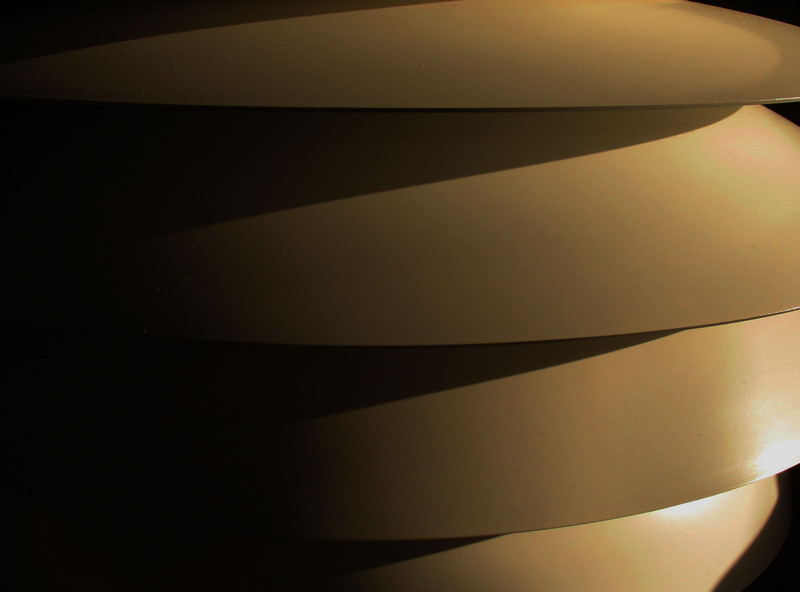 Volumetric light. That is a great way to describe how light becomes material and how elemental it is to the experience of viewing. It is a concept that is at the heart of my intentionality although it is very hard to demonstrate except when a work is encountered in real time, in the flesh. is by a cherrying of your mind. you will not know it. that thing you must know. of that thing you should know. that thing you should know. 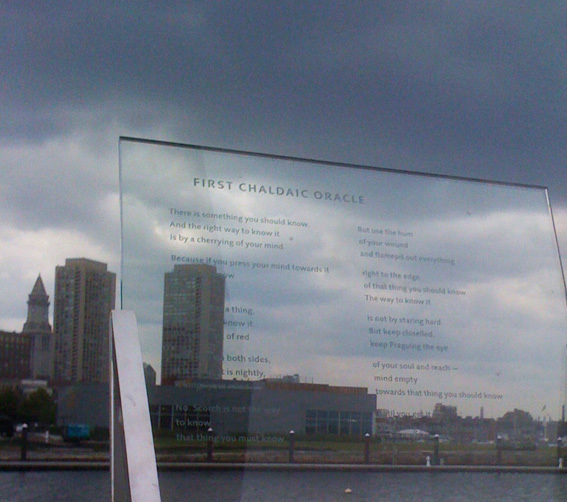 This poem has been mounted outside the ICA, overlooking Boston Harbor. What a setting for an unforgettable poem. While the poem stands extraordinarily on its own, here are a few comments about it that feather Carson’s nest ever so gently. In “First Chaldaic Oracle”, a poetic manifesto, Anne Carson examines the relentless pursuit of what remains forever out of reach. Her questing but playful voice, sounding through the architectural layering of tercets, captures the continual striving toward meaning, the poet’s elusive, shape-shifting art. The images proliferate, tantalize, elude definition—and yet we sense there is something vital here, something passionate yet annihilating, overlooked yet liminal, even preconscious—so essential it trumps your mind, possessing, ruling, dissolving any subjective state. Carson drives deep to planes of reality one intuits but cannot name—beyond self, beyond world, hypnotic. Only by going beyond our prescriptive borders of ‘self’ and ‘other’ can the rare, the mysterious, the unnamed—beyond all our definitions—be found. So much of real life lies between the lines of rational thought. The bigger questions are not the ones that can be answered on paper. They are what we tend to overlook or leave out—ideas that life suggests, hints at…The facts are word-bound, but the deeper truth, the confusion, the sticky messiness lies in the grey areas between the words…By trusting our intuition, by accepting the absurd, sometimes inexplicable reality of reality, we might find that the conventional boundaries of logic and reason only take us so far: sometimes they stifle true understanding. This is not to say that rational analysis never leads to truth…Carson urges us to see that sometimes, in pursuit of knowing a thing, a “cherrying” of the mind prepares us most.